AutoVillage.co.uk is constantly in dialogue with a brilliant selection of used Hyundai I20 car dealers in Bridgend so we are bound to be partnered with a dealer in your local area or the towns which surround it. Find your next Used Hyundai I20 Car in Bridgend, browse through the cheapest used listings and the largest selection of Used Hyundai I20 Cars in Bridgend. If you're looking for a second hand Hyundai Cars in Bridgend, look no further than AutoVillage, with over 500,000 used cars listed online, no one tries harder to help you. 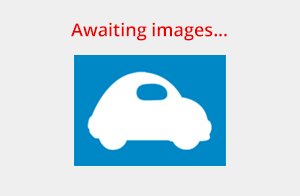 Hyundai i20 MPI S BLUEDRIVE(ONLY 12000 MILES)FREE MOTS AS LONG AS YOU OWN THE CAR!!! Hyundai i20 COMFORT(ONLY 46000 MILES)FREE MOTS AS LONG AS YOU OWN THE CAR!!! AutoVillage has a huge database of used Hyundai I20 cars, from dealers both local and far away, who sell their Used Cars through our site. This means we can provide you with a wide selection of Used Hyundai Cars to choose from. Therefore if you are thinking of buying a Second Hand Hyundai I20 Car in Bridgend or any make of Used Car we can help.